ChartBook is the ultimate EFB Platform for today's busy pilot. An all in one portable EFB, navigator, PC, and media tool that offers more features, a great form factor, and an awesome display. Based on a popular Acer Iconia W3 platform FlightPrep optimizes Windows 8 for EFB use, loads your included ChartCase Professional software, and does setup and testing on your included GPS and other hardware or accessories to build you a full system at a great value. ChartBook starting price at $650 with a year of data. The ChartBook has an 8.1" capacitive touch display that makes seeing your charts, plates, or 3D Highway in the Sky easy to read. The system is ready to fly right out of the box and the InFlight mode is optimized for use with just your finger touch. We build the best systems, upgraded with the most demanded options. A pilot tests your ChartBook to ensure you can take it out of the box and start using it right away. ChartBook is easy to use and easy to learn, if you are using Golden Eagle software you already know how to plan a flight using ChartBook! If you are flying part 91 (vast majority of GA and business operations) you can stop messing around with paper now and fly with electronic charts. Part 135 and 121 pilots may also be able to fly paperless after meeting certain FAA guidelines. Please feel free to call or email us for clarification and please review FAA AC 91-78. We've got units in stock and ready to ship within 1-3 business days. Place your order today and get your ChartBook for your next flight. 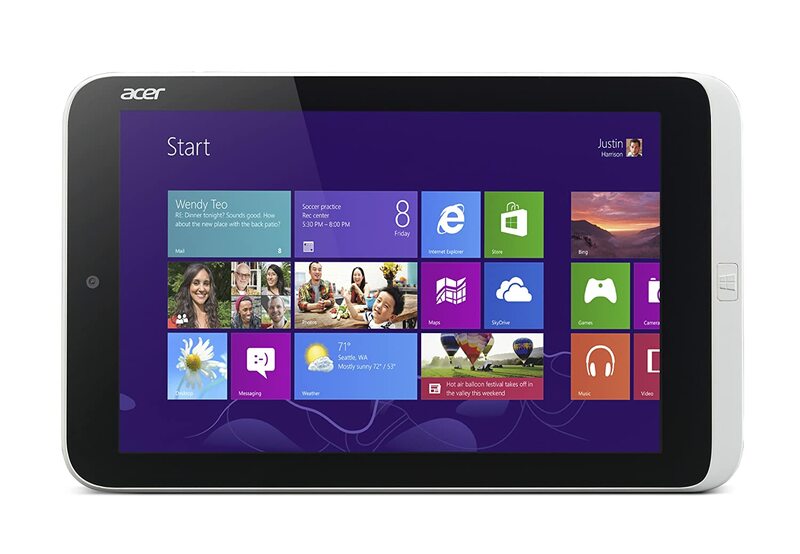 Tablet comes with: ChartCase Professional software preloaded, 1 year of database updates for the US 50 States with VFR and IFR updates, Bluetooth GPS, Intel Atom Dual-Core Processor Z2760, Windows 8, 8.1" HD 1280 x 800 resolution high-brightness (300-nit) Acer CrystalBrite LED-backlit TFT LCD, 5-Point multi-touch screen, supporting finger touch and image auto rotation, Intel Graphics Media Accelerator with 64MB of dedicated system memory, High-definition audio support, 2048MB of LPDDR2 800 MHz Onboard memory chip support , 64GB Internal Storage, 802.11a/b/g/n Wireless, Bluetooth 4.0+EDR, 2MP Rear-facing camera, 2MP Front-facing camera, 1 - Micro USB 2.0 Port, 1 - Micro-HDMI with HDCP support, 2-Cell Li-Polymer (3500 mAh) Battery, Up to 8-hours Battery Life, 1.1 lbs. - 0.50 kg (tablet only). If you or your flying friends have been following the aviation magazines or newsletters over the past few years, you have probably heard of a new technology on the horizon called Automatic Dependent Surveillance-Broadcast, or ADS-B for short. But what does that mean? What does it do? Well today, we are going to take a look. For decades, the FAA has upgraded to better and better radar and transponder technology to track aircraft in both the VFR and IFR systems. At the same time, aircraft operators have been equipping themselves with GPS receivers for navigation and better technology for safety and efficiency of flight. While many of us used to have two VOR’s and maybe an NDB, most IFR equipped aircraft have now gone to GPS for enroute navigation. The ADS-B system can really be thought of as the evolution of your navigation system and your reporting or tracking system working together with radar and ground transmitters to provide a clearer picture of what is going on around you. With ADS-B your position, speed, heading, and aircraft information is broadcast to both ground stations and other aircraft nearby equipped with the system. Think of ADS-B like a “social network” that broadcasts where you are and where you are going shared with other pilots and controllers. But don’t be fooled, this is not a virtual crop farming or bubble game network. ADS-B could save lives by showing pilots aircraft on an intersecting flight path around mountains or approaching intersecting runways in all weather conditions. ADS-B will add a layer of safety and much greater efficiency to flying especially in congested airspace by providing pilots and controllers a better picture of what’s going on around us. What about aircraft that are not equipped with ADS-B, how would this system see them? 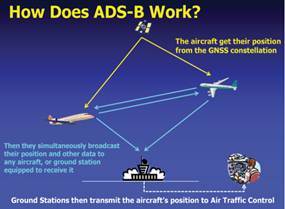 Traffic Information Service-Broadcast (TIS-B) which is part of the ADS-B system is the answer to that question. TIS-B increases pilot’s situational awareness by providing traffic information on all transponder-based aircraft within the vicinity of the ADS-B equipped aircraft receiving the data by rebroadcasting radar information over the ADS-B network. Therefore, even if an aircraft flying near you is not ADS-B equipped but does have a transponder it will appear as part of the TIS-B service. TIS-B also has a little something special about it that the FAA threw in a bit late in the game to encourage early adopters. 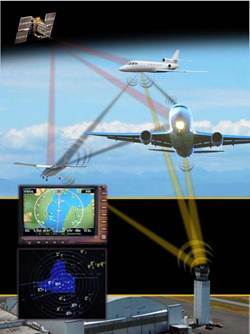 TIS-B is only available to aircraft that transmit their information over ADS-B. This means you only get traffic if you give your info to the system. ADS-B is also described as ADS-B “in” and ADS-B “out”. TIS-B is where ADS-B “in” and ADS-B “out” come into the game. The “in” describes you taking in the available ADS-B information for display on a screen (EFB, MFD, or other system). Think of it as you getting a second by second report on the area around you, but without you. The “out” part of ADS-B indicates your participation in the system. TIS-B will only work correctly for you if you provide ADS-B “out” of your aircraft. If you are equipped with only an ADS-B “in” system like some portable units currently available, you will only have TIS-B info when another aircraft very nearby has turned on the TIS-B information for its area and if you're close by you can piggy back on it for a while. Once that other aircraft flies away from you, you will no longer have any TIS-B. "Yes. ADS-B’s Flight Information Services-Broadcast (FIS-B) provides all of the information you would get with an XM basic subscription, and more. In fact, at no subscription cost to the user, the ADS-B FIS-B product today is comparable to the mid-to-high-level XM subscription. The FAA currently is discussing with the vendor the possibility of adding even more "no-cost" products to the FIS-B service, such as: Lightning, Turbulence NOWcast, Icing NOWcast, Cloud Tops, 1 minute AWOS – uplinked every 10 minutes." Unlike TIS-B, the FIS-B service is transmitted all the time with or without participation in the ADS-B system. FIS-B information is not usually available on the ground or at very low altitudes due to the range of the ground-based transmitters. Once at altitude (we have found and heard that at or above 3,000 is usually a good bet) you should receive data pretty well. Around those airports identified in 14 CFR part 91, Appendix D."
So when will FlightPrep have ADS-B capable applications? Soon, sometime in the next 12 months. Since the system is still being built there are currently dead spots in coverage throughout the country but 2014 will be here before you know it so we're getting ready. Stay tuned for more information on ADS-B in a future newsletter. At Oshkosh we received quite a few questions regarding new technology in aircraft electronic systems and how they differ from one another. Over the next few blog entries we will try and cover some of the questions people threw our way in an effort to help sort through the systems, acronyms, and what it can provide for your airplane. As always if you have questions you would like us to answer please send them to support@flightprep.com. In this post we're going to take a look at a few different types of traffic avoidance systems. How they work, where they work, and what costs may be involved. While the best traffic systems out there are TCAS, TCAS 2 and the good 'ol mark 1 eyeball, the ones we'll look at today are more geared towards GA. The first traffic system we'll take a look at is a portable system. PCAS, which stands for Portable Collision Avoidance System is a small box made by Zaon that sits on your glare shield and is able to "see" other aircraft transponders. Zaon's original PCAS technology was developed in 1999. Now, their current MRX/XRX line of collision avoidance systems incorporates the fourth generation of PCAS technology. Through this technology, transponder-equipped aircraft are detected and ranged, and the altitude is decoded. 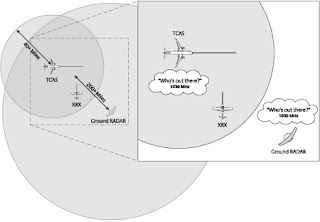 Above is an image depicting how the PCAS picks up traffic targets from an enroute radar and a TCAS interrogation signal. Traffic can be spotted by the PCAS systems out to a range of 6 miles and +/- 2500 feet. The Zaon MRX, priced at around $550, is a small unit that looks like an auto radar detector and works on its own without the option to plug it into other systems like your EFB or some other handheld or panel mount. The slightly larger Zaon XRX (priced at $1299.99 from FlightPrep for just the XRX or $1499.99 from FlightPrep with Bluetooth capability) gives more information on traffic targets and also can be connected to a wide variety of other systems to display traffic. Unlike TIS, PCAS does not need a Mode S terminal radar to work. The PCAS basically gives you a 6 - 12 mile lateral by 5000 foot vertical bubble that should spot transponders from other aircraft almost anywhere you fly. Above is an image of what Zaon calls Average Interrogation "Coverage" Area: Military, Terminal, Enroute RADAR and TCAS Interrogation. See Zaon's website for a more in depth look at what areas are covered. Unlike PCAS systems, Traffic Information Systems or TIS for short is not a portable system. TIS is a first generation traffic system that almost exclusively uses one of two certified and installed hardware boxes, the Garmin GTX 330 or the Honeywell Bendix KT73. One of these units would then send information to a display in the panel to show traffic info but only when in a Mode S terminal radar facility area. If you are equipped with TIS and flying in a Mode S radar coverage area you will have a very large range of traffic targets and very accurate information. Unfortunately the FAA has decided not to continue supporting Mode S terminal radars and the last Mode S radar site is scheduled to be replaced by late 2012. 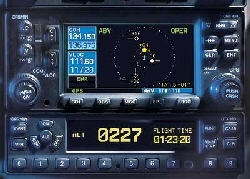 Here is an image of TIS information being displayed on a Garmin 430 unit. For more information on TIS, see AOPA's discussion page. Next time we'll take a look at ADS-B. What it means, who can get it, and when it may be available. Until then we wish you frequent, happy, and safe flying! The FAA has published a draft advisory circular entitled "Guidelines for the Certification, Airworthiness, and Operational Use of Electronic Flight Bags (EFB)", that could eliminate portable navigators and chart readers as we know them for aviation, including Part 91 operations. Robert Goyer covers the issue in his recent article in Flying Magazine. 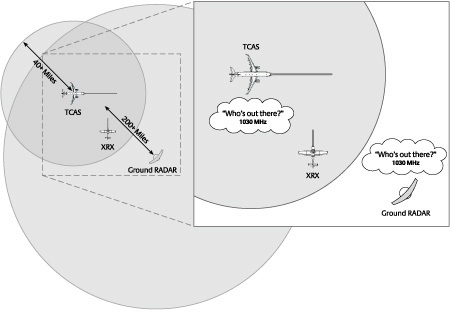 In the article, Goyer points out that the draft AC "strongly suggests that own-ship position (showing the little airplane on the moving map or chart) is an illegal function" and that the "FAA seems to be calling for individual approval of every portable device that goes in the cockpit, something that would cost individual operators thousands of dollars apiece". Both Aircraft Owners and Pilots Association (AOPA) and General Aviation Manufacturers Association (GAMA) responded to the FAA saying, "AOPA/GAMA believes that electronic flight bag technology will be a critical tool to enable many expected NextGen capabilities at an affordable cost however, this proposed guidance material will limit much of that potential because of short-sited perspective." FlightPrep agrees with AOPA, GAMA and Flying Magazine, and hopes that the FAA will revise the advisory circular and re-post it for public comment again. We'll keep following the issue and post any updates as they develop. PaperlessCockpit.com’s iPad KABOOM! Community Project concluded successfully on July 15, 2011, when an iPad 2 passed a DO-160F Rapid Decompression test conducted by CascadeTek of Hillsboro, OR. The test was witnessed by representatives from FlightPrep.com, one of iPad KABOOM!’s premiere sponsors. Throughout the test, the iPad 2 ran FlightPrep’s iChart 2.0 App. During the first stage of the test, iPad 2 running iChart 2.0 was placed in the altitude chamber and stabilized at an altitude of 8,000 ft for two hours. FlightPrep’s iChart 2.0 is designed to keep the iPad “awake”, and it remained operational. During the next stage, the chamber simulated a rapid decompression event, causing the altitude to transition from 8,000 ft to 51,000 ft in under fifteen seconds. The iPad 2 continued to operate and exhibited no physical defects (i.e. flying shards of plastic and glass, or chemical fires resulting from catastrophic battery failure) for ten minutes. The chamber altitude was returned to ambient altitude, and the test concluded. The iPad 2 survived the rapid decompression eve and continued to operate after the conclusion of the test. While PaperlessCockpit.com failed to blow up an iPad, the iPad 2 Community Project is a success. PaperlessCockpit.com would like to thank all of the contributors to the iPad KABOOM! Community Project, particularly our project sponsors: FlightPrep.com and OzRunways.com.